I visited Colours at the Newbury Race Course today. I avoided two nasty accidents on the M25 on route, one where a car was suffering a problem like that of a can of spam, where the roof had been torn off when another vehicle had driven over it. 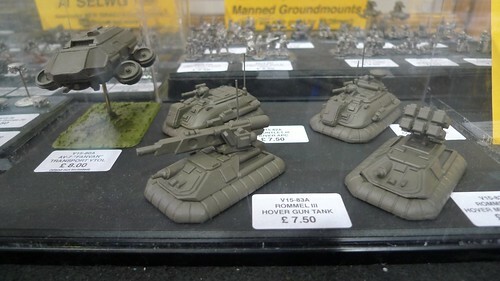 The show was great, lots to see and I came away heavily weighed down with GZG 15mm miniatures and a few bits of very interesting 15mm terrain which I will detail in a blog soon. 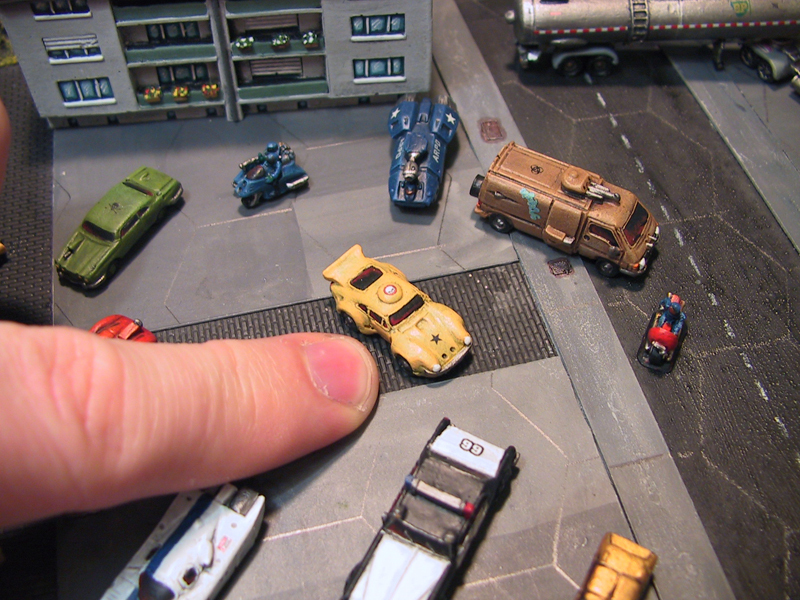 I have lots of good pictures from around the show (mostly 15mm SCI-FI from GZG). You can see them here on my flickr link. Awesome photos! Love all that GZG 15mm goodness. Makes me wish I lived in the UK, so I could more easily feed my habit. Wow. Thanks for posting all of these up. You are one industrious fellow. !!! I Had no idea how nice the GZG V15-49A 'Cockroach' troop transport VTOL looked! The picture on Jon's site does it no justice at all. I am just putting my two roaches I picked up at the show together now. 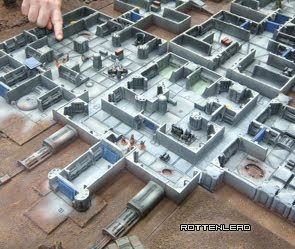 Very nice models.